As beauty editors, we get bombarded with a ton of new products every day (we know—tough life). Reviewed is a series where we report on some of the best products we've tried. Whether it's a drugstore lipstick that lasted all day or a hand cream that saved us this winter, you'll find all our favorites in this column. Enjoy! I'm certainly a stick product kind of gal—I love to do practically anything and everything on the go. That includes applying highlighter, patting on cream blush, swiping on a lip color, and so on. But never have I felt it necessary to use my customarily bottled or tube-encased skincare products in stick form. 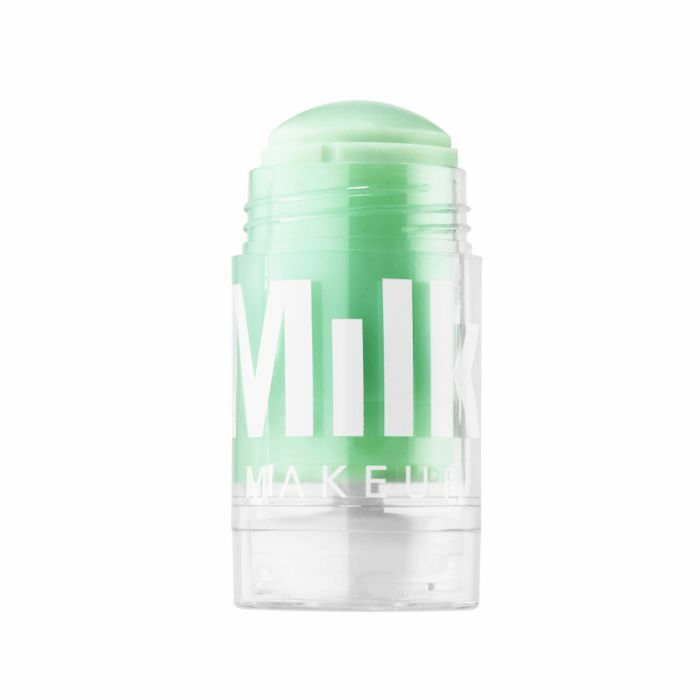 That line of thinking ended when I first laid eyes on Milk Makeup's Matcha Toner ($26). "This is so cool," I said to our managing editor, Lindsey, as I unwrapped the package. She usually is the one to suffer through my incessant and often distracting commentary. "It's a toner, but it's solid. And it's a stick!" I marveled. The product itself was bright green and cooling to the touch, but I still had no idea how to properly use it. Luckily, the brand proactively set up how-to videos on its site to go along with some of its more innovative products. I watched the seconds-long video and decided to give my new product a try. First I cleansed with my absolute favorite balm—Eve Lom's Cleanser ($80)—as I keep samples of it around in every pocket, drawer, and bag I come into contact with. Then, as instructed, I massaged my entire face with the product in circular motions and then tap, tap, tapped it into my skin (like I would any other essence or liquid toner). It felt so refreshing—like I had spritzed my skin with some sort of cooling, hydrating green magic juice only it was solid and encased in a travel-friendly stick. I finished up with moisturizer and let it sit throughout the day to see more results. The formula is a mix of matcha green tea to detoxify and protect your skin, as well as kombucha and witch hazel to tighten up pores and absorb excess oil and organic cactus elixir to calm and hydrate. If it weren't for the witch hazel, the entire blend would sound more like a trendy smoothie than a skincare product. What's more is that the toner is entirely vegan, gluten-free, talc-free, soy-free, and silicon-free (so you know it's good for you). By the end of the day, I was smoothed, hydrated, and fully on board with all things Matcha Toner. There's a practical ease associated with the product that I really respond to, like real, effective skincare for a person with places to go (someone who spends more time walking down the street or at the office than in the bathroom). I'd recommend stashing one in your bag and one at your desk and leaving the heavier, more opulent bottles for your time spent at home. That way, you have the best of both worlds.